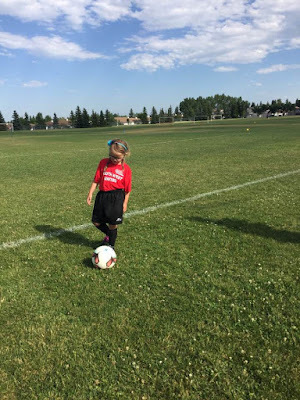 sweat like becky: Penelope's Outdoor Soccer Season! Penelope played outdoor soccer this season with the SWU U8 Dynamo. They basically had the same team as they did in indoor soccer with the exception of one player and they had a great season. 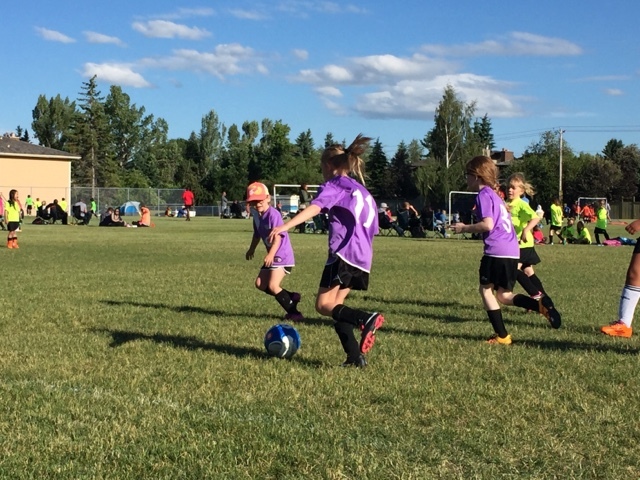 Unfortunately, the enrolment for girls soccer is no where near the level that boys that play and instead of 4 teams in the SWU U8 girls league, we only had 3. What this would mean is that you would only have a game every other week since it they normally practice on Tuesday, have a game on Thursday and tech on Saturdays. The coaches weren't happy with that and since we all have come up together in SWU and know the co-ordinators well, they proposed a new plan and built a new schedule where we played for 90 minutes on Thursdays: 2 30 minute games and one 30 minute practice. Although I think they should have put all 3 teams in CMSA for the outdoor season, this worked out well. They lost only one game all season and won both their games in the annual Mini Fest tournament easily. Because we requested our team be kept together and SWU obliged, we were stacked compared to the other 2 teams. The U9 Premiers girls team next season will be in good shape haha. On the last practice of the season, Penelope's coach asked if one of the boys team would like to scrimmage with the girls and they happily agreed thinking that they would crush the girls. The girls got a shot on goal but it went off the post early on in the game but they boys were like oh ya that counts having pity on them but the only team that got destroyed was theirs. The girls won 7-0 and the boys weren't too happy by the time they finished. I didn't get to see a lot of Penelope's games in outdoor since Greg was her assistant coach, he took her to the games when Finley had practice which was most Thursdays. However, both Finley and I made it to her last game since Finley practiced on the Monday instead. This made us all happy! She worked hard (most nights hahaha) for her trophy. 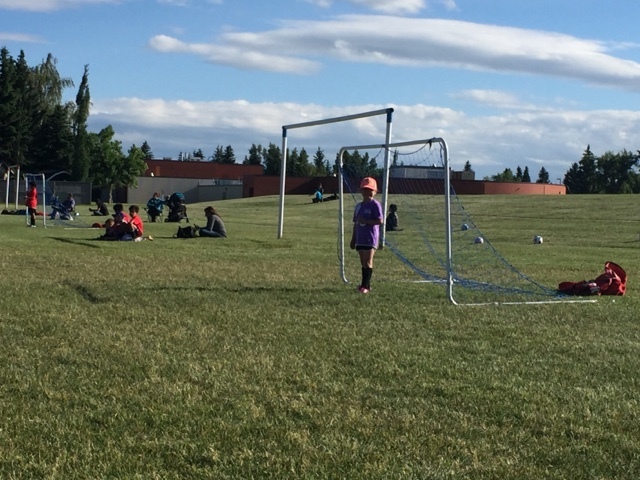 One of the co-ordinators of SWU U8 Grassroots + Developmental Program is also a soccer player and a great tech person and so he requested that all the U8 girls and boys come do tech with the U9 girls and boys (Finley's team) for some extra training. Penelope was so nervous but it helped that she knows all the girls since they play with Finley and she knew the guys doing the tech since they did hers on Saturdays and during the Indoor season. She really liked the challenge of the U9 tech and made some really good plays in the scrimmages. 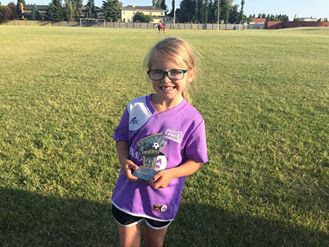 She still technically has another indoor and outdoor season left of U8 but as per the advice of the coordinator, she will be evaluating for the U9 Premiers team in the fall. If she doesn't make the U9 A or B team, then we will bring her back to U8 but we are pretty confident she will make the U9 team and stay with all her friends and teammates that she loves.